Over the last few months our work to open up the NHS digitally for patients has progressed at pace. Our vision is to transform the way people experience the NHS, by designing digital health tools and services that connect them to the information and services they need, when they need them. We want to enable people to access care in a convenient and coordinated way, through the digital tools that all of us are now familiar with in other areas of our lives. So, today we have launched two new digital platforms, NHS Digital Apps Library and a Mobile Health space for developers on Developer.nhs.uk. Our vision is for NHS.UK to host leading healthcare apps so they are accessible and trusted by the public. The new digital tools pages on NHS.UK have been designed to showcase a selected number of apps while we test our thinking. Each tool has been through an assessment and is safe to use. Over time, people will start to see more apps appearing that are labelled ‘being tested in the NHS’ or ‘NHS Approved’. These products have been built on a solid evidence base and are part of an NHS programme; monitoring and collecting data and evidence of effectiveness towards positive patient outcomes. Developer.nhs.uk now has an exciting mobile health space that is aimed at the developer market that is rich with talent and striving to create digital products that will offer valuable healthcare benefits to patients. We are setting the quality standards that the NHS can hold all digital health and care products to, laying the foundations to build a truly transformative digital health service. Developer.nhs.uk sets out this ambition and will allow the market to mature their products in this environment. Alongside these platforms, we have also spent time working with key partners to develop thorough Digital Assessment questions, which have also been published today. These questions will make up the new NHS Self-Assessment for digital tools due to be released later this year. Our work is iterative and based on user needs. We need to understand how people interact with the tools available to them; what they find complicated; or what they are willing to use and gain benefit from. It’s important that we do this right and so everything we have launched today is being done to allow a thorough live testing period and we will be gathering feedback from users through an inbuilt capability on each of the platforms. We want people to use digital technology to support their healthcare, but we must understand how people use our tools, whether barriers of use exist and what more is required to connect people to their health and care digitally. We know people desire digital tools that are designed with the least amount of steps, making life easier for them. And we know that digital tools help people to manage their health and care needs better. Opening up health services and encouraging people to better care for themselves is an important step. We are creating a trusted place to house and sort those tools, establishing a channel that the public can choose to use. It won’t work for everyone, but allowing us to test whether recommending an application – in the same way that other industries do – can be applied safely is important in this sensitive environment and brings a sense of familiarity to consumers. We know that digital can make healthcare more coordinated, responsive and convenient. But in order to achieve this, the areas of greatest need have to be identified, so the market can create the right tools at the right time. Our apps labelled ‘Being Tested in the NHS’ are addressing those areas and are a result of a responsive market. Developer.nhs.uk will become our primary marketing platform to advertise where digital intervention is required, allowing the market to respond in an open and competitive way. The tools and guidance available will mature in time, contributing to the Digital Standard for Health and Care. Over the next six months, we will be working collaboratively with commissioners and the market to understand the proposition to patients of securely connecting digital innovations to patient health records. Data driven technology can ultimately help clinicians deliver smarter care, allowing them to understand when interventions should be given and when they work. Increasingly, consumers want to use technology to interact with their healthcare provider so that it fits in with their schedule. We need to flex with these social changes and allow innovators to meet this demand and solve the problems presented to us. Harnessing this power correctly, safely and securely protects the trust that people have in the NHS. So we are launching softly, with this test (Beta) phase that allows people to give feedback on every change we make in these following months. No one tool is going to solve all our challenges. But establishing the ecosystem to enable innovation and leveraging technology to allow new care delivery models to be tested is exciting and will provide better healthcare to our public. 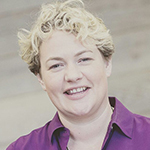 Juliet was previously NHS England’s Chief Digital Officer. 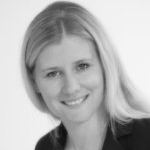 Tara Donnelly is due to take over the role of CDO at the beginning of February. She will oversee a portfolio of digital services including the NHS website, NHS ‘assured’ apps library, and the development of digital services to empower patients to better manage their health and care, including long-term conditions such as diabetes. Rachel leads the transformation programme of all patient facing, self-care and prevention activities within the Paperless 2020 Programme in the NHS, a £270m digital transformation of all patient facing services across the NHS. She is a confident and dynamic leader with technical prowess, proven business acumen, and an exceptional record defining and executing strategy at top level to deliver change, improve performance and ensure first-class digital/technology services and solutions for blue-chip organisations across multiple sectors. Is it possible to have a breakdown within the area of Norfolk and Waveney the number of people accessing the apps and a breakdown of which apps have attracted particular interest. I have been chose as one of 100 nurses to pursue an innovative idea by RCN. My idea is a paediatric service that can prevent unnecessary admissions or readmissions to A&E, GP’s and paediatric wards by using a follow up service. My research has lead me to exploring the use of technology. I wondered if you have any parenting apps or know of any being developed or any follow up, after discharge, apps that help parents to manage sick children. Also if you have any thoughts around this I would be pleased to hear from you. Have you looked at the App HANDi Paediatric? This provides information and safety netting for common conditions with pathways produced bespoke to each locality. Amazing pioneering work! How can we in Swedish healthsystems learn from building your ecosystem for digital prevention? I appreciate the timeliness of the strategy and the vision, it is important to have a prudent framework without stifling innovation in digital health market. By combining healthcare and digital expertise, we can develop innovative ways to manage the current and future health challenges. Developing the ecosystem is the key to fostering a sustained growth with active stakeholder involvement. The web app you have attempted to reach is not available in this Microsoft Azure App Service region. can you assist or resolve this please?? Can you please send me the link to the mental health apps. Patient data are a valuable commodity. Users need reassurance that their data are not being sold for commercial gain – if anyone profits from those data it should be the patient and the NHS.